Camp Woodland | It Never Rains at Camp Woodland! It Never Rains at Camp Woodland! In case you didn’t know, it never rains at Camp Woodland for Girls! How is this possible you ask? We just get a little (or a lot) of “dew” as the case was on Sunday. Woodland Girls do not let gray weather dampen our spirits…the “show must go on”! One of the most highly anticipated rainy day activities is the ever popular Lip Sync Contest. I can remember dry summers when we actually got to the 4th or 5th week of camp and the campers were praying for a “dewey” day just so that they could have the Lip Sync Contest! Sunnyside dons some brightly colored costumes! 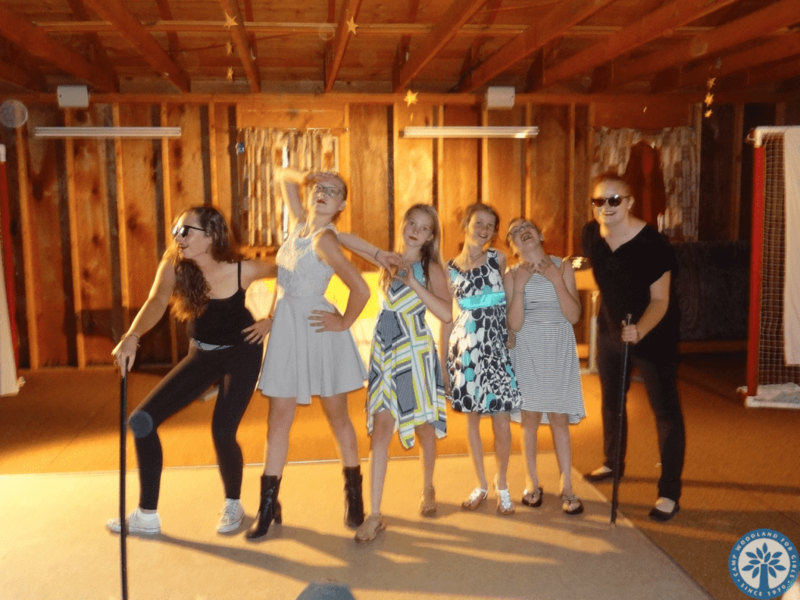 Lip Sync Contest is the perfect cabin bonding activity. 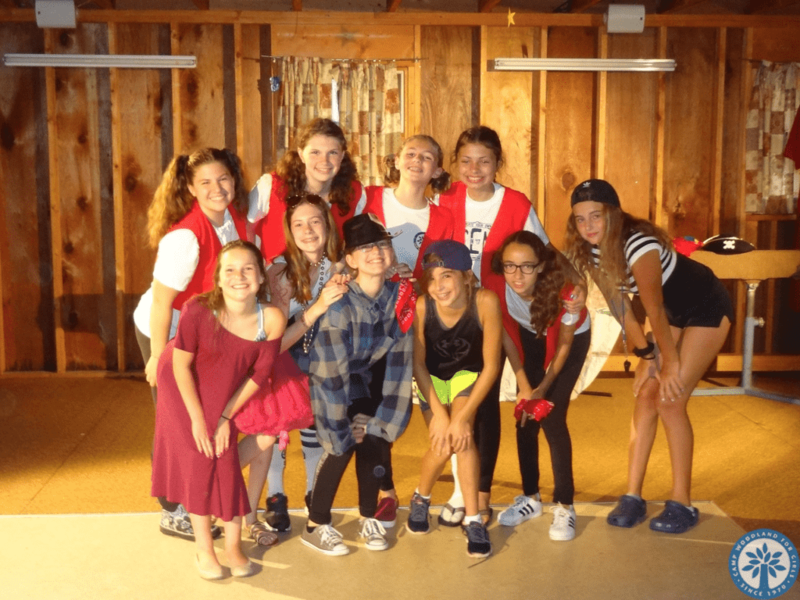 With the help of their counselors, campers negotiate which song will be chosen for the performance, and then they must come together to decide on costumes, props, and dance moves. It is not unusual to see hairbrushes used as microphones and other interesting items appear such as a broom and dustpan. This year Hilltop incorporated canes into their number and cleverly changed the words to a song to be “I’ll Make JoAnne Out of You”. Counselor Chelsea dressed as JoAnne (pencils in her hair) while Silver Birch grabbed Counselor Paige to be part of their act. 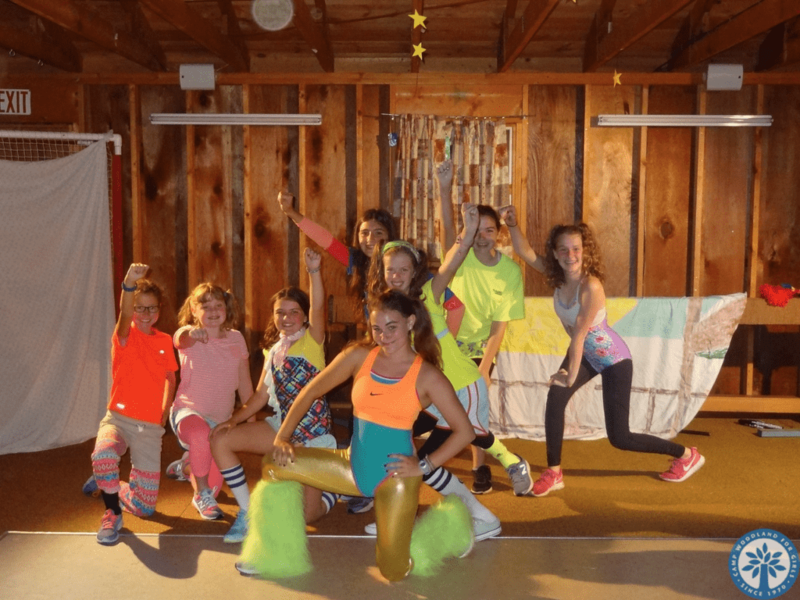 Jenna, the Live-In CIT from Sunnyside was “all in” with her gold tights and neon green fuzzy boots! 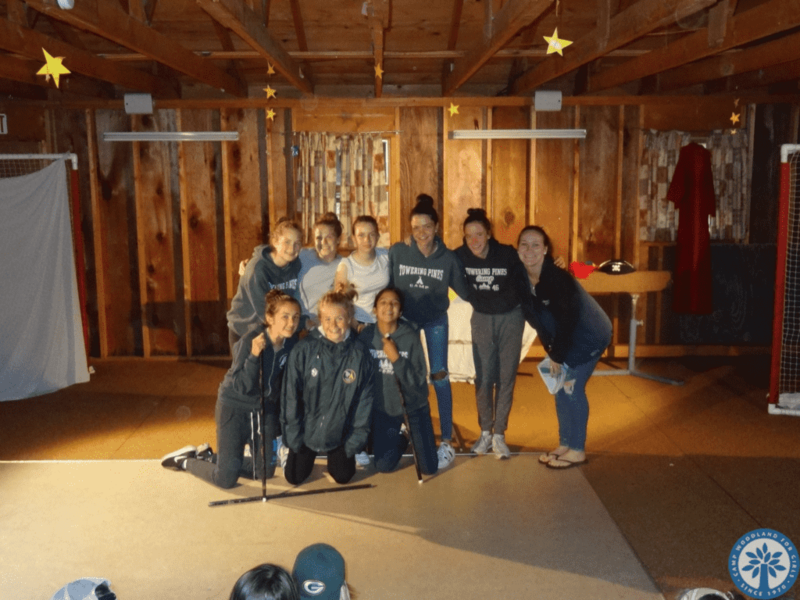 Tamarack brought back a High School Musical tune, “We’re In This Together”, Treetops did a Justin Bieber song, “One Time”, and the CIT’s we’re rock stars in their rendition of “Stick to the Status Quo”. Starshine’s award winning performance was a “mash up” of “I Will Survive” and “Survivor”. If truth be told, Starshine decided on the songs they were going to use prior to the actual Lip Sync Contest – what dedication! Sarah and Katie (Live-In CIT’s) were dressed in all black and wearing sunglasses for a very dramatic instrumental intro to set the tone for a 1st place finish! As you can see from the smiling faces in each photo, the annual Lip Sync Contest is all about “Creating Your Own Scene” and is a ton of FUN! Starshine is the 2017 Lip Sync Contest Winner!